When I bought my first motorcycle in 2000, I did lots of online research and ended up with a great starter bike: 2000 Buell Blast. 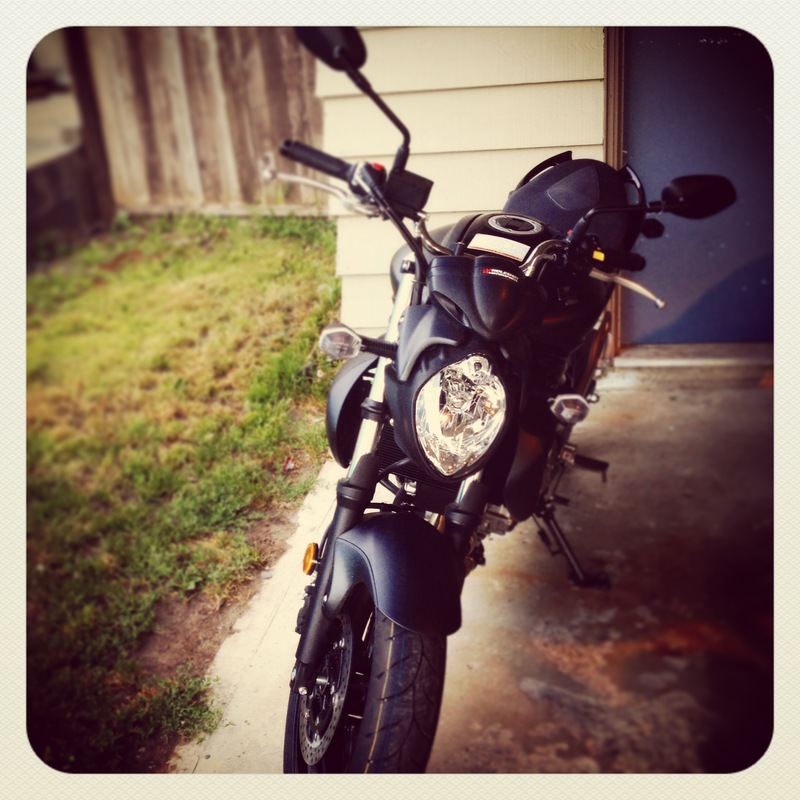 I sold the Blast 2 years later for reasons of practicality, but kept riding in my dreams. 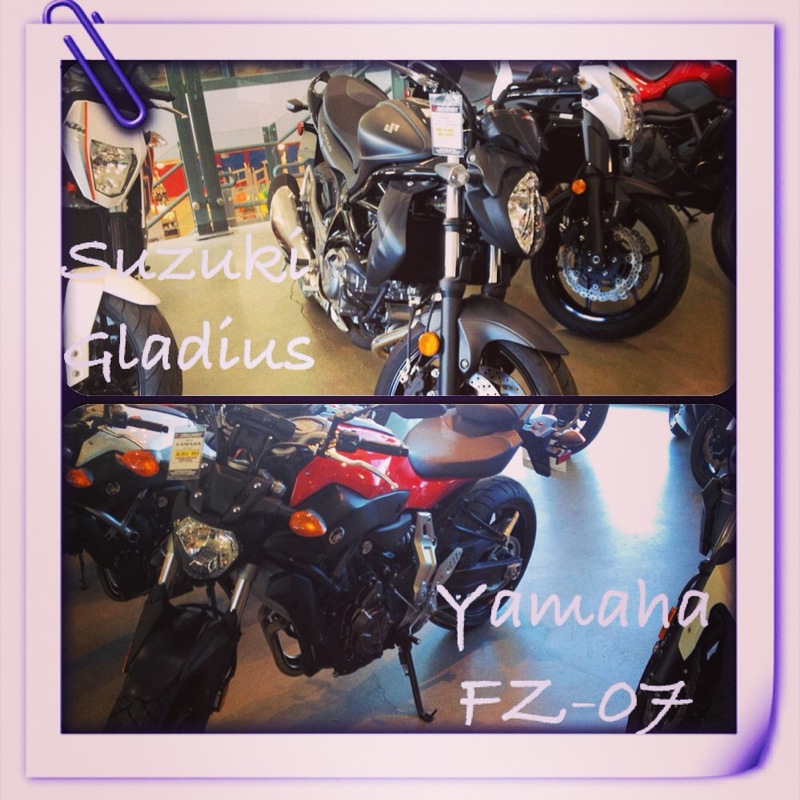 Cut to 2014, ready to get back on the iron horse, I did online research once again (click here to see Julia Austine’s Pinterest Board “Motorcycle Mama”), but was having trouble deciding between the two top contenders: Suzuki Gladius or a Yamaha FZ-07. 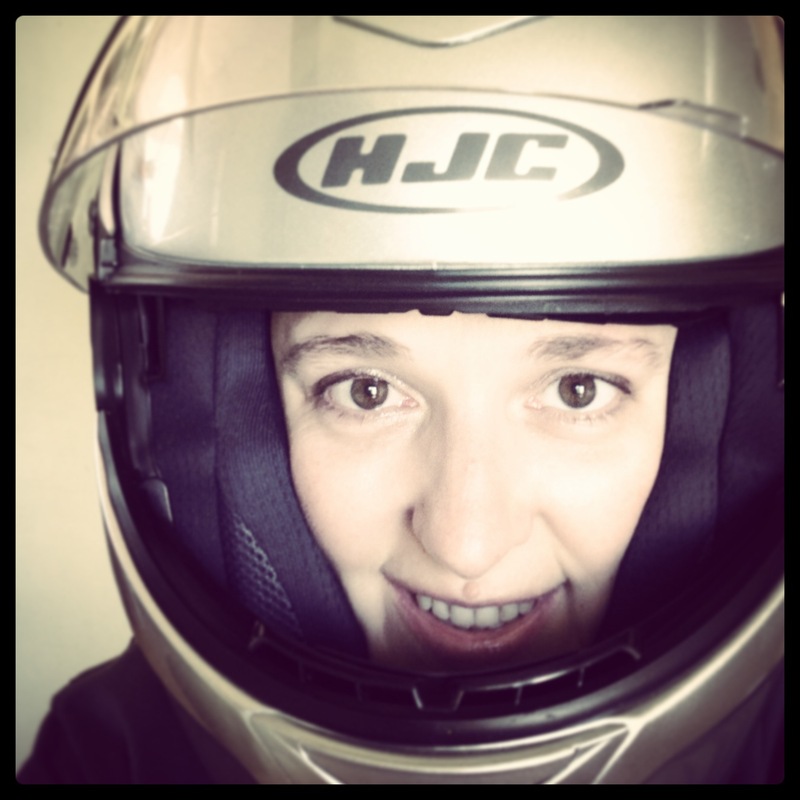 I was leaning towards one over the other, but I wanted some opinions from outside my head, so I posted the above split pic on my Instagram account (click here to see @juliaaustine on Instagram) and tagged all the people I knew on Instagram that rode motorcycles. What’s interesting about this is that while some of these people I do know in real life, some I’ve only conversed with through Instagram! My moto comes home with me! Some of my first rides were with my husband, and since he has only had his bike and his license for the last 2 years, this was something brand new for us! 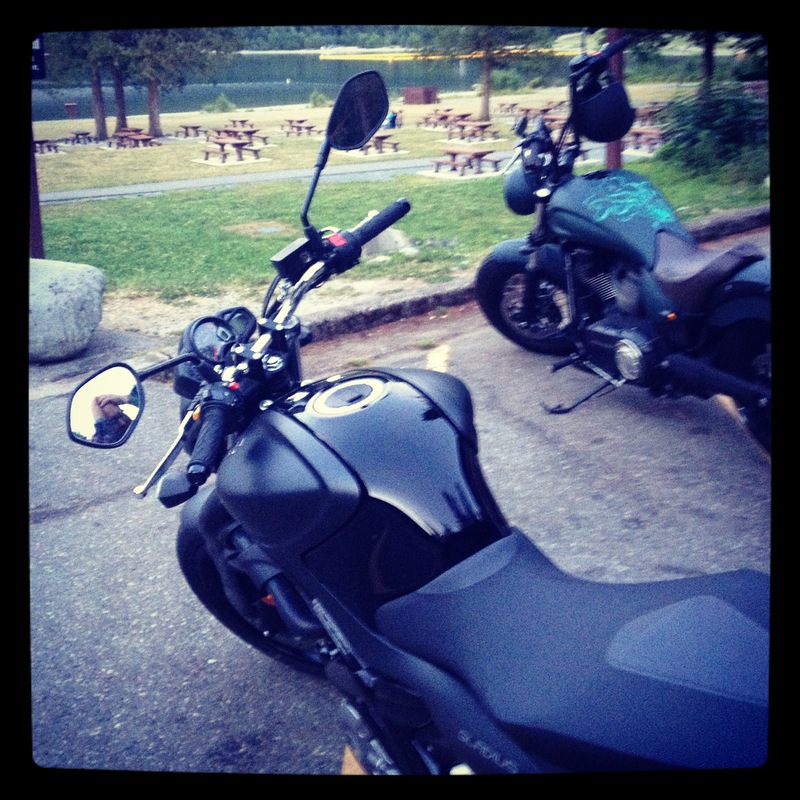 I recorded images of these rides and created a hashtag for our “date rides”: #VeronicaandOctavius (the names I’d given our motorcycles) and again put them up on Instagram. 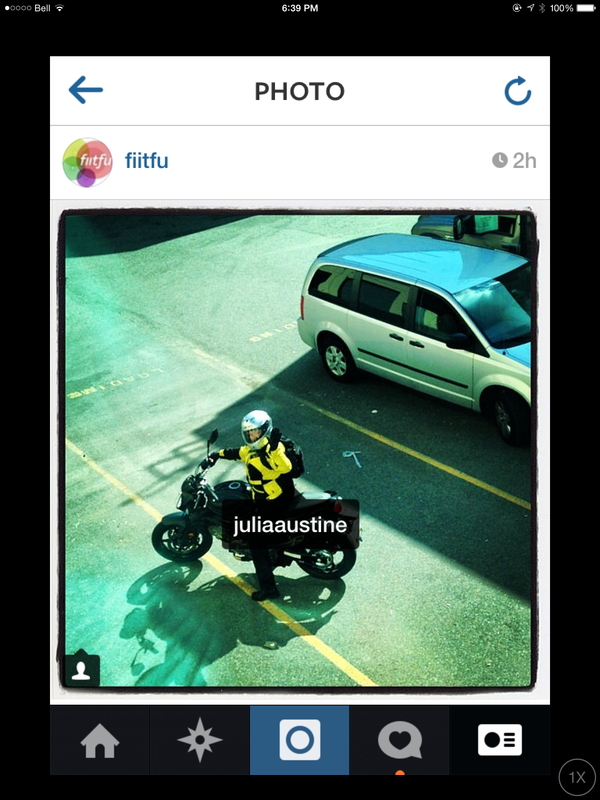 As I’d run into friends and acquaintances in the real world, that had Instagram accounts, they would ask about my motorcycle or comment on my big bike decision. It’s fascinating to see how our online worlds and our daily lives overlap and combine until they can become as blurred as the trees by the side of the road. While riding a motorcyle can be a solitary pursuit, all this facebooking, tweeting and instagramming was making me feel much more connected to the two-wheeled community near and far. How have you used Social Media to “meet up” with others who have shared interests?